I agree “TB is a threat to Australia” (Letters, July 11), but we can do more than struggle “to win the war on TB”. Prime Minister Malcolm Turnbull should attend the United Nations General Assembly meeting on September 26 about TB intended to be “united to end tuberculosis: a global response to a global emergency”. In 2015, TB was one of the top 10 causes of death worldwide, with an estimated 10.4 million new cases across the globe. About 4500 people die each day from it. 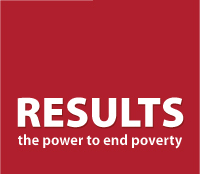 It is estimated TB will rob the world’s poorest countries of about US$1 trillion to $3 trillion over the next 10 years. Prime Minister – please attend that meeting and show Australia remains generous towards the needy beyond our shores.